All-over lace princess gown with a beaded waist. 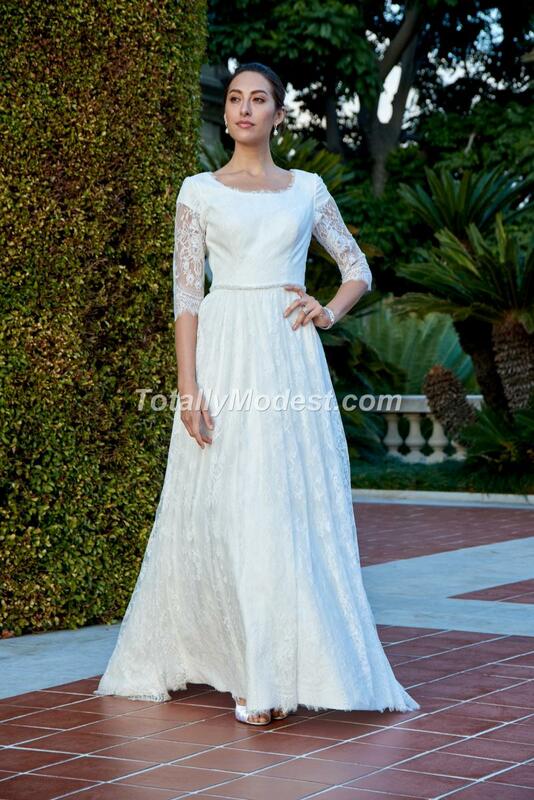 Satin cap sleeve with a lace illusion 3/4 sleeve. Finished with buttons and a sweep train.